General Motors (GM) recently confirmed that there were 266 injuries and 124 deaths because of its faulty ignition switches. The company is accused of concealing its knowledge about the defective parts for more than a decade. If you or someone you know was injured by a faulty GM ignition switch, you may be entitled to compensation. Contact our experienced attorneys today for a free case evaluation. In February 2014, GM notified the National Highway Traffic Safety Administration (NHTSA) that in certain circumstances, the switch would slip out of position(http://www.edwardslawok.com/blog/gm-ignition-switch-claims.html) and result in vehicle airbags not deploying. 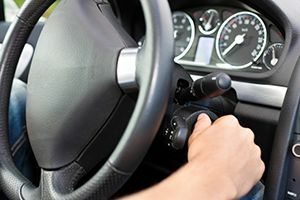 After establishing a fund to compensate victims for their injuries from the faulty ignition switches, GM processed more than 4,000 claims and has made more than 250 compensation offers. GM is expected to finalize the claims by the end of the month. For the families of the victims who died as a result of the switches, at least one million dollars is being offered as compensation. A spokesperson for GM’s compensation fund said that about 80 percent of the claims they received were not eligible for compensation. There were also hundreds of claims that were deemed deficient. People who submitted claims that were considered deficient still have until the end of July to amend their claims and resubmit them. Although the injured victims and the surviving family members of those who died may feel some relief with the fund wrapping up at the end of July, there are still other injured victims from the 2.59 million recalled vehicles who have not yet filed their claims. If you sustained severe injuries or a family member died because of a faulty GM switch, do not delay. Contact our firm before time runs out to file a claim. At The Edwards Law Firm, we have a great track record of getting results. In fact, we’ve won over $50,000,000 in successful verdicts and settlements for injured people.